Summer is knocking on our doors. The BBQ and Parties are about to start and I think this little duo will make your party that much better. Good Luck! 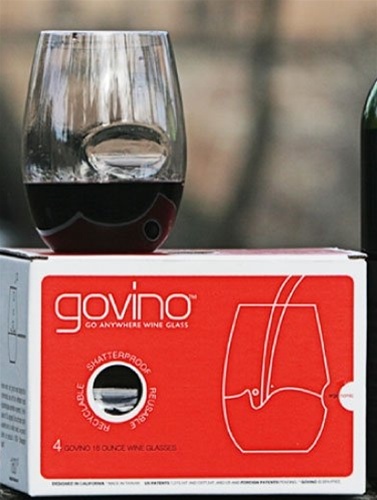 GoVino – govino really means “go anywhere you like.” This revolutionary vessel designed for the ultimate enjoyment of fine wine actually works well for any cold beverage. The unique ergonomic thumb-notch makes wine swirling most simple and best of all you can reuse them or even recycle them. Each box comes with a set of four crystal-clear shatterproof “glasses” perfect for indoors or outâ€”at a picnic, an outdoor party, or at poolside. The govino wine “glass” is actually not glass at all. It is made from a proprietary, food-safe / pharmaceutical-grade polymer “aka” PETG, which reflects a wine’s color and projects its aromatics much like crystal. Best of all… once your vino is gone your govino can be reused or recycled. Reuse it, abuse it, but eventually recycle it! To ensure the optimum wine tasting experience, replace your govino wine glasses after an extended period of use. Important Note: Hand wash only!! 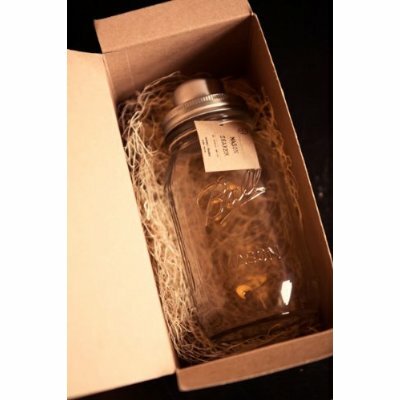 Mason Shaker – Moonshiners Mason Jar Shaker The Mason Shaker is a unique four-piece cocktail shaker based around the iconic Mason Jar. The concept for the Mason Shaker was developed from an obsession with vintage kitchenware and an uncanny ability to fashion impromptu drinking tools at a moments notice. 1. Join Homemade Delish and Pro Kitchen Gear on Facebook. Leave a separate comment letting us know you did so. 2. Follow @homemadedelish and @ProKitchenGear on Twitter. Leave a separate comment letting us know you are following if you havent already. The giveaway is open until Tuesday, May 7th at 11:59 p.m. Eastern time. The giveaway is only open to USA residents. Be sure a valid email address is included with your comment(s). Winner will be chosen randomly and announced on this post. We will email the winner and if the winner doesn’t respond in 24 hours, a new winner will be chosen. Product will be shipped by Pro Kitchen Gear. Good luck! Disclosure: This giveaway is being provided by Pro Kitchen Gear, but the opinions are my own. I am a follower by email. Love your stuff.. This would be awesome for the upcoming deluge of margaritas and summer wine tastings. Oooh I’ve had my eye on those wine glasses! We camp a lot so those would be perfect! I haven’t seen that shaker before, but it looks nifty! I follow ProKitchenGear on Twitter. Does following you here on WP count as following you through email? I see all of your posts in my reader. The GoVino glasses will be great for the patio and picnics! Follow @homemadedelish and @prokitchengear on Twitter. Liked Homemade Delish and Pro Kitchen Gear on Facebook also.